Critical Response & Reception, Filmmakers’ influences (intentions & vision), Genre, Motifs (symbols and themes), Narrative structure. This represents the final (reflection) feedback you receive and will be the last formal feedback you will get from your teacher. The extent to which you, assemble the comparative study in a clear, logical, audible and visually appropriate manner? The extent to which you, support the work with accurate subject-specific terminology? Before you get feedback on your comparative video essay script you must complete a self assessment. 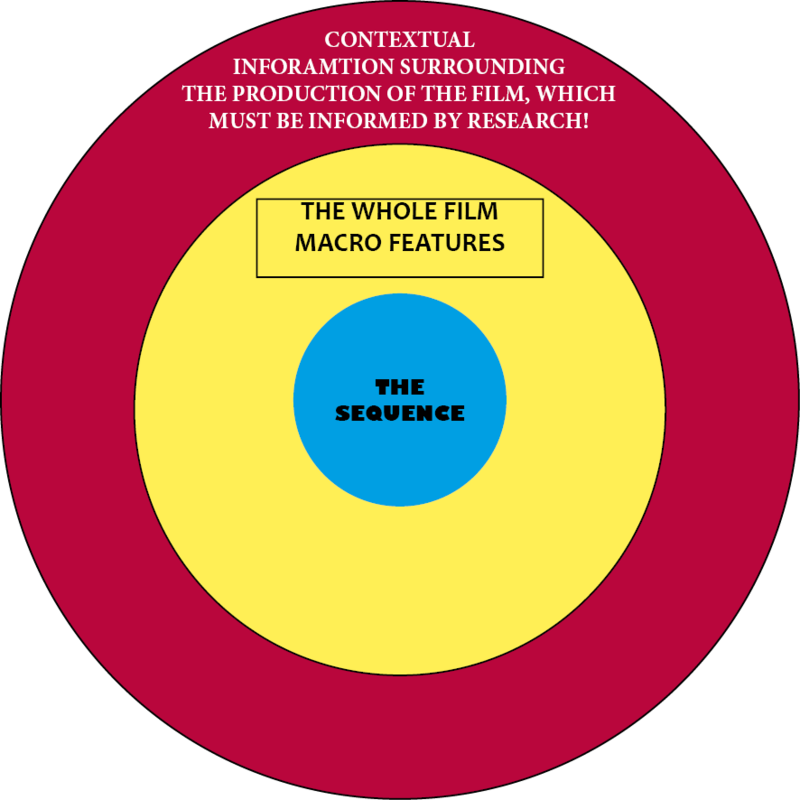 Sections where you demonstrate knowledge and understanding of the components selected for study (the area of film focus & two films). This should include the cultural context of the selected films and the student’s justification of why these films were chosen for the comparative study. Your research sources, quotes and explanation of those. Sections where you compare and contrast (key scenes from) the selected films, making links to the chosen topic? By the end of this week (Friday 7th) you must have completed a first draft of your script. This will probably be in the form of a rough essay. It is essential that this draft is completed by Friday, ready for some peer feedback. You will all complete a read through of the script and get some peer feedback on the key assessment criteria. Someone to listen out for structure and the degree to which you are answering your own question. You should all use the assessment document to focus the feedback. You should complete notes as you read through and gather your peers’ feedback at the end on how you could improve your work. Once you have received your peers’ feedback on the draft script you need to redraft based on that feedback and convert the essay into a script that will run alongside visuals from the two films. Use this document to drop in sections from your script and screenshots from key scenes + time codes. You must observe the word count limit and based on your own speech speed test you may need to amend this down. THE MAXIMUM DURATION IS 10 MINUTES. THE EXAMINER WILL STOP LISTENING AFTER THAT TIME! Before we start scripting the essay we need to develop a structure that allows you to illustrate your research, understanding of the whole films, their context and how these big ideas and revealed in the cinematic style (micro). Take a copy and complete this structure document. Please complete this Google Form to outline your initial ideas for the comparative project. A quote from the teachers’ research notes. This research must be recorded and referenced using the Harvard System. One way in which you can record this research is to use a slide show, with a slide per source. Here is a slide show template you can use. Find a short definition that sums up the theoretical approach. Identify 3 films which are considered important within that theory. Identify 3 recent films which might be explored using the theory. From this video choose one film movement which you would like to learn more about. Find a secondary research source that introduces and explain the film movement you have chosen and list 5 films that came out of your film movement. Write a one sentence definition for that film movement, which describes it’s look and intentions. Sound easy? Well it is! Genre analysis is done in three steps. That is, agree on a group of films that you think are ‘pure’ example of the genre. This definition may be done in combination with secondary research. 2 Decide what features of those films are conventional in terms of their genre. This means agreeing on a Repertoire of Elements, which are similar across the corpus and indeed necessary for a film to be given a genre label. In this case ‘Fantasy Film’. That means agreeing some ball park rules or a conventional features. A theorist Nick Lacey gives these broad topics to focus your analysis. Once you’ve defined those conventions, you need to consider how far your film is similar and/or different compared to those conventional features. What are the generic conventions of a given genre and how similar and/or different is a given film? Choose three films you would love to study. Use films that have been on your watch list for a while. Find films which have won awards or been critically well received. Find directors who go against the mainstream. Who are working as independents. Think of the sorts of films we have studied on the course. Perhaps a foreign language film? You cannot choose a film we have studied together during the course or in any other part of your IB studies (Extended Essay). So that means Pan’s Labyrinth, The Dark Knight, Nosferatu, Let The Right One In & all the films we studies for the textual analysis are off limits! Comparative film must have different cultural context.